The change of any season can definitely affect my sensitive skin. 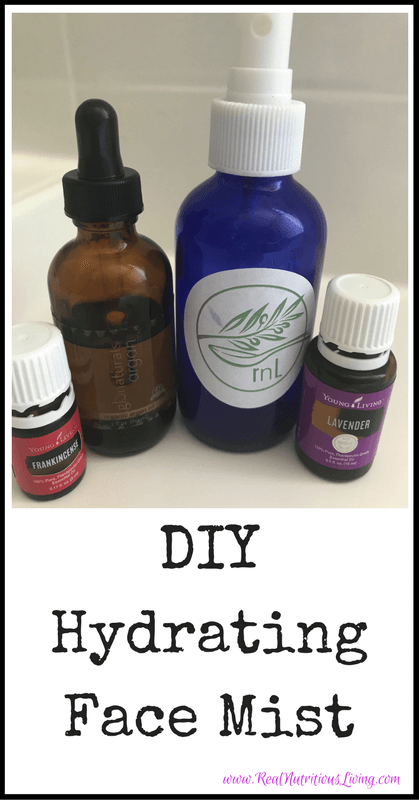 One of my favorite things to keep at my desk or in the car is a DIY hydrating face mist. It’s something I can use to set my makeup and refresh my skin throughout the day. 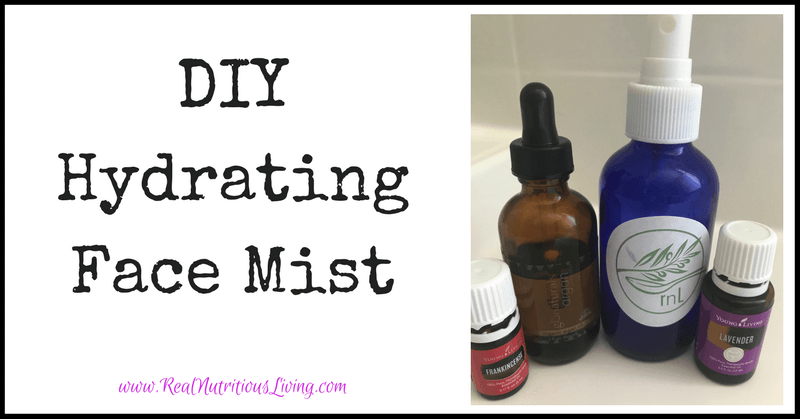 Why I chose the special ingredients in this mist…. Lavender Essential Oil: Safe, soothing and nourishing to even sensitive skin. One of the main components of lavender is called “linalol.”A great deal of research has been done on linalol’s ability to help revive, calm, ease, and even to relax. Argan Oil: Reduces the appearance of fine lines and wrinkles. Green Tea: Anti-inflammatory and antibacterial- nuff said! The antioxidants in green tea, known as catechins, are especially potent for anti-aging and encourage cell turnover and to reactivate dying skin cells (source)! While these benefits are limited to the outer layer of skin (as the tea’s properties aren’t absorbed beyond that), the research suggests that these benefits are significant. Geranium Essential Oil: Improves circulation and tightens skin, which reduced the appearance of wrinkles. Boil water, steep tea bag, and allow to cool. Pour into bottle about 4/5 of the way or ‘shoulder height’ full. Carefully add Argan oil, followed by other oils. Mix, shake well, and mist away. Note: I like a strong scent so I tend to add 2+ drops of each oil to the recipe above. Too busy to make your own DIY mist? I use this plumping mist from Beautycounter most days to set my makeup and refresh my face throughout the day. I didn’t know a lot of that about the oils you chose! Very cool! I plan to try this soon! Thank you! Let me know how you like it Renee! And you’re welcome! These oils are great! I hope you like it! LOVE this mist! Frank and lavender are two of my favorites for the skin and I love argan oil too. I need to order some more because I’m all out. Thank you Emily! 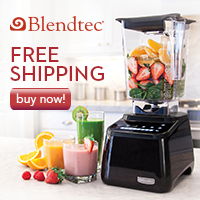 Let me know if I can help you with an order! What a great idea! I love making my own skincare products and I have dry skin so I’ll have to try this. Oh this is a great blend for you then Jean. Enjoy! Isn’t it one of the best oils for beauty? I hope you love it Jo! I love this! Living in Hawaii my face gets a lot of fun, and I’m often all hot and sweaty. This mist is so refershing! Love love love lavender and argan essential oil ! They smell so good and it keeps my skin healthy. Thanks for sharing this simple homemade version ! Great to see details of how to make natural cosmetics! This looks great. Thank you! Yes, what we put on our body is just as important as what goes in it! Love this! I love all of these oil for my skin.